Clothes are not always on the top of the list for what children want for a holiday gift but, some really do love new clothes. Plus, some really need new clothes. Gymboree offers fun clothes for children. 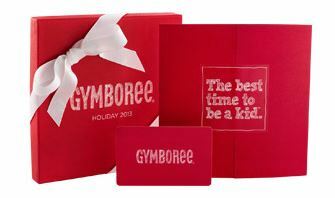 One lucky winner will receive a $50 Gymboree Gift Card. Open to the US only. Ends Dec. 11, 2013 at 11:59 pm est. Enter using the rafflecopter form below! I have a two year old grandson and one on the way this month about Christmas! Thanks! My 3-year-old boy. He needs some winter clothes. I plan on buying for my twin boys who need more winter clothes. I will shop for our granddaughter and 2 grandsons. I would buy some clothes for my expecting son! I will be buying for my 2 boys! Have a niece and great nephew to buy for. My 6 year old son! He goes through sizes so quickly right now. My 6&4 year olds. They can’t keep clothes b/c they are growing so fast! I would live to spend it on my daughters. my baby niece who was born a premie @26 weeks but since getting out of the hospital she is growing like a weed. My two grandsons! Thank you! This would be so appreciated! For my so. He outgrows clothes so quickly! I will buy for my kids. For my brand new niece! My baby girl could use a boost in her winter wardrobe. 16 months and growing like a weed! My 4 month old daughter. I’d buy clothing for my son (almost 4) and daughter (just turned 1). I plan on buying clothes for my grandson. I would purchase for my almost two year old daughter! I would buy clothes for my son and his new baby brother or sister that is due in March! i would buy Christmas outfits for my new baby cousin!! I would buy clothes for my dd! I would buy clothes for my son! I want to buy clothes for my grand baby. With my growing three grandchildren I am always buying them clothes. My niece. Her birthday is Christmas Eve and then, of course…Christmas. It’s rough! For my 3 year old daughter! I would buy clothes for my son. We love gymboree. I love shopping at Gymboree for my two little ones! Thanks for the chance to win! I would buy clothes for my newborn son. I will be buying clothing for my daughter. She loves Gymboree. I would be buying for my grandsons. my kids they are growing fast out of their clothes and need new stuff! I will buy some clothes for my grandkids. My 6 year old just loves clothes, she wears only skirts and dresses, such a lil diva. I’ll be buying for my son. my baby boy who will be born next year! My daughters both could use some clothes. I will be buying for my nieces and nephews.